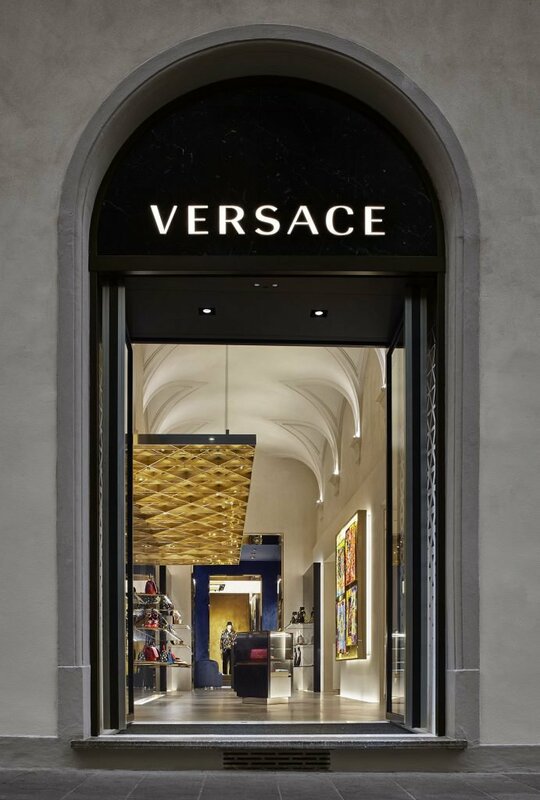 Featuring the new store concept by Donatella Versace in collaboration with architect Gwenael Nicolas. 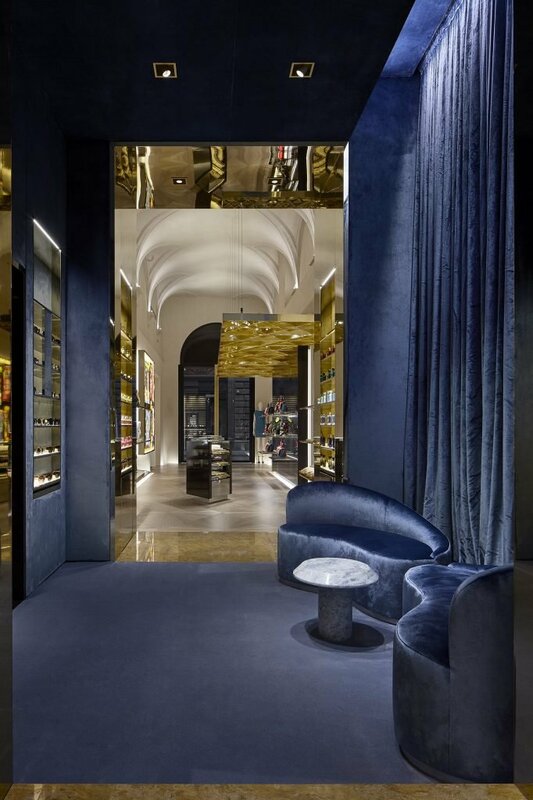 The modern design of the boutique is juxtaposed with the original architecture of the historical Florentine palazzo located on the iconic Via Tornabuoni. The interior design of the boutique showcases the contrasts between black and white, geometric motifs and the play on light and shadows. The Florence store is the first of the new design concept in Italy. 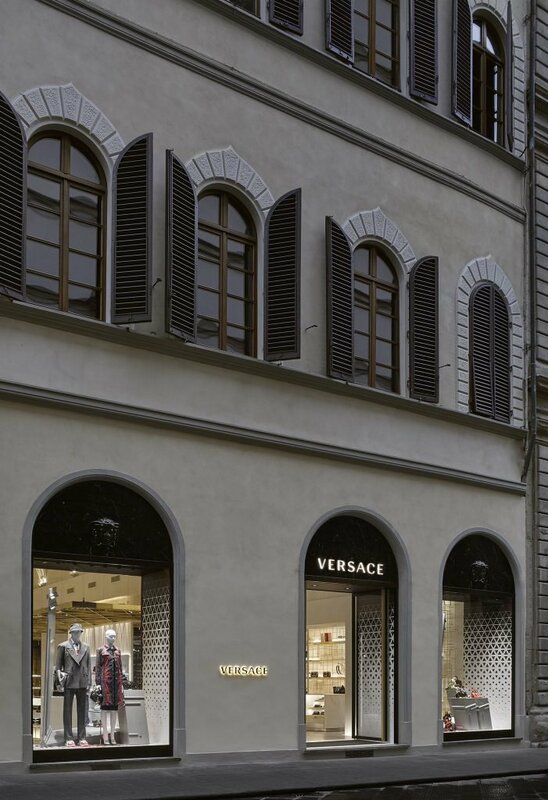 Versace becomes more and more of a staple in Florence as a place to go when you need a new wardrobe.